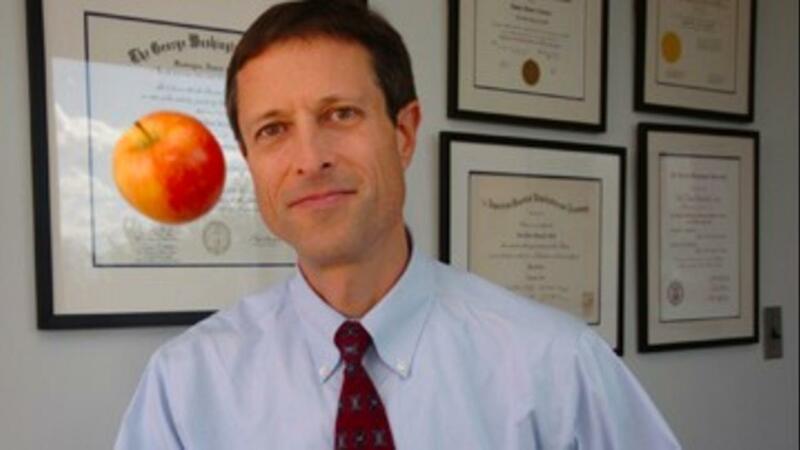 From appearing on the Ellen DeGeneres Show, Dr. Oz, and TED talks to publishing 15 books and countless journal articles, Dr. Neal Barnard has, for decades, brought a message about the benefits of a plant-based vegan diet to mainstream audiences as well as others in medical professions. Dr. Barnard is the founding president of the Physician's Committee for Responsible Medicine. He's a clinical researcher, an adjunct professor, author, and one of the leading advocates for health, nutrition, and more compassionate, higher standards in research. I was thrilled to hear about Dr. Barnard's newest venture: a medical clinic! 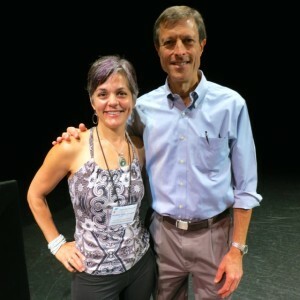 Allison Rivers Samson: You've been researching, advocating, and sharing the health advantages of plant-based eating for decades! How has public opinion on vegetarian and vegan eating changed since you started? 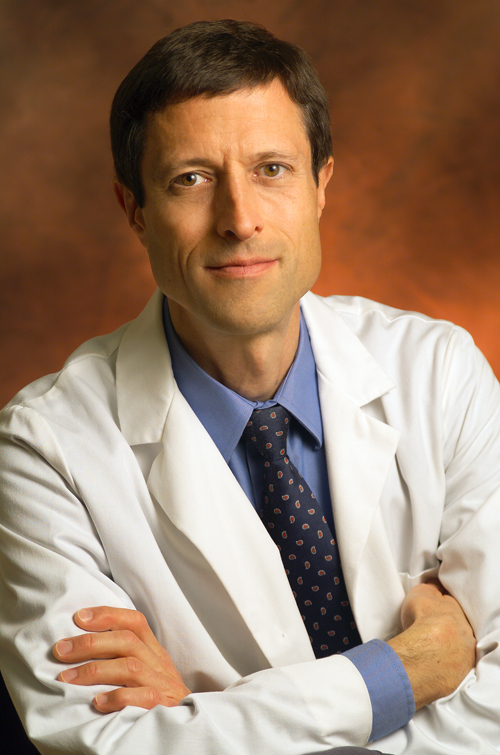 Dr. Neal Barnard: I think that the situation has definitely improved in recent years. As more and more research shows that eating a plant-based diet can significantly influence better health, the word is slowly spreading that the best way to prevent disease and promote health is to cut the meat and dairy products and focus on plants. You can see this in the media too, especially with celebrities. In the past year alone, many big-name stars including J-Lo, Samuel L. Jackson, Jay-Z, and Beyoncé have switched to a vegan diet either partially or entirely. It’s really becoming more mainstream. ARS: What issues does Physician's Committee for Responsible Medicine (PCRM) focus on? And, do you have any recent victories to share? NB: The Physicians Committee focuses on greater ethics and effectiveness in medicine. One area that we focus a great deal of our attention is preventive medicine through good nutrition. Eating a low-fat, vegan diet can prevent, improve, and sometimes even reverse many of the diseases and conditions that plague people, and we think that everyone should be educated and empowered to take control of their health. Right now we have been offering free diabetes class series that are open to the public, and they have been really successful. We’re also excited about our upcoming International Conference on Diabetes, which will be held in DC this July, and the new medical clinic coming this fall. In addition, we have done a lot of work to promote better research and education. One of our biggest campaigns in that area has been to remove animals from medical education training, and we have seen great progress here, too. When PCRM started, animals were used in virtually every medical school, and today there are only three schools that do. Hopefully soon we’ll be able to say that there are none. Our Toxicology and Regulatory Testing department also just released a great video about new alternatives to using animals for chemical tests. We hope that it will be shared widely so that people can become more aware of the better, cheaper, more reliable, and of course more ethical, ways to conduct chemical tests. ARS: That is definitely heading in a good direction! You mentioned that PCRM is opening its first medical clinic this fall in Washington, DC! That must be quite an undertaking! What types of medical services will it offer? And, what do you hope to see this clinic accomplish? NB: The medical clinic is scheduled to open in November. We will be offering a full range of primary care, and will place an emphasis on dietary interventions whenever applicable. We want to provide the kind of care for patients that we are advocating at our organization, and help lead by example. We are hoping to be able to set a precedent for other health care professionals and medical clinics so that more people can have access to the type of care that they deserve. 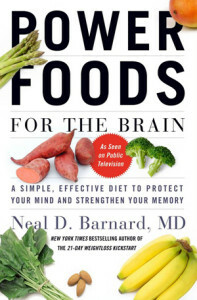 ARS: Your most recent book, Power Foods for the Brain, focuses on preventing Alzheimer's Disease. What are a few changes everyday people can make to reduce their risk? ARS: These are great guideline for everyone who wants improved health. Your 21 Day Kickstart and Food for Life programs are changing lives. Tell us a little about these two vegetarian/cooking programs and how many people have gone through them. NB: Well, the 21-Day Kickstart program continues to grow and reach more people. For those who don’t already know, the 21-Day Kickstart is a free online 3-week program to help people test-drive a vegan diet. We have celebrity coaches that provide tips and their favorite recipes, and people receive a daily email and access to a portal where they can find lots of great resources for getting started. We now have five programs: the original English, Spanish, Mandarin Chinese, Japanese, and Kickstart India (which is written in English but features Indian celebrities and traditional Indian cuisine). Our international programs have really been growing in popularity, and we expect that they will soon surpass the English Kickstart. Since 2009, over 340,000 people have participated in our Kickstart programs. Our Food For Life (FFL) programs are also expanding. Each summer, we train a new group of people to be added to our group of FFL instructors. Our instructors teach various programs such as kickstart-your-health classes, diabetes classes, and workplace wellness programs. Classes include nutrition lectures, cooking demos, free samples, and of course lots of resources for participants. The classes reach about 9,000 people each year, and that number will continue to grow as we add more instructors in more cities across the United States, and across the globe as well. After next month’s instructor training, we will have over 200 FFL instructors in over 150 cities. ARS: In his 2014 Nutritional Review just presented at Vegetarian Summerfest, Dr Michael Greger shared a comment from your paper, "The Physician's Role in Nutrition-Related Disorders: From Bystander to Leader." In it, you say that "Plant-based diets are the nutritional equivalent of quitting smoking." What an apt analogy! It seems strange that many doctors think their patients wouldn't be willing to make an effort to change their diets. What is one of the biggest hurdles you see people face when beginning to make positive lifestyle changes -- and how do those who are successful overcome this challenge? NB: When people first start, one of the biggest hurdles is just adjusting to a new routine. People often can’t go to their old “go-to foods” anymore, they need to find new ones. Getting over the initial hump is the hardest part, but once people realize that a vegan diet is not only healthy, but can also be easy and delicious, then it instantly becomes more do-able. It usually takes about 3 weeks to develop new taste buds AND to develop new habits, which is why our Kickstart program is 21 days long. Taking the 21-day Kickstart or doing one of our FFL classes is a great way to get started because we provide people with the recipes and resources they need to get on board with the new way of eating. Soon, people are making oatmeal for breakfast and cooking bulk batches of brown rice and veggie chili without a second thought. Once the new routine settles in, it’s golden. People lose weight, they have more energy, they reduce or eliminate their need for medications, and they enjoy life more. Once you experience the benefits of a vegan diet, it’s difficult to turn back. And once someone has tasted the deliciousness of vegan living, it's easy to stay vegan! Thank you so much, Dr. Barnard, for all the fabulous work you do and for taking the time to talk with me.